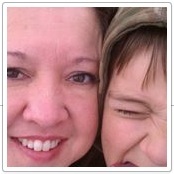 DiabeticMommy.com is the personal blog of Elizabeth Gardner. All blog content and opinions are my own. All product and service recommendations are for those I personally use and highly recommend. No compensation is received for blog posts or blog topics. I do occasionally receive books and products to review. This will be disclosed and will not affect my honest review or opinion. I do reach out to companies that produce products and services I love and ask if they would like to be a sponsor of the site or if they can contribute valuable resources and information to my readers. This type of content will be clearly indicated. A relationship currently exists between DiabeticMommy.com and BD.com. This is not a health care site and I am not a health care professional. I do not give medical advice and you should not seek medical advice from me or others in the community. Please consult with qualified professionals for treatment and do not change your treatment regimen without consulting your doctor. Everyone is different and what works for others may not work for you and remember members here are comprised of people with different types of diabetes. The site editor, contributors, and community cannot be held responsible for your physical or mental health or that of your family. Articles and content submitted by others represent their own views, and not necessarily those of the editor. This site is a peer-to-peer site that provides a narrative of a personal, unique experience for the purpose of sharing resources, news, personal opinions, and motivation. This site uses Google Analytics Advertising Features,this site and third-party vendors use first-party cookies (such as the Google Analytics cookie) or other first-party identifiers, and third-party cookies (such as the DoubleClick cookie) or other third-party identifiers together. Opt-out of the Google Analytics Advertising Features you use, such as Ads Settings, Ad Settings for mobile apps, or any other available means (for example, the NAI’s consumer opt-out). You may also opt-out through Google Analytics Opt-Out Browser Add-On located here. Be aware that laws across countries and territories vary, and Google Analytics can be used in many ways. Be aware this is a public site. Content, comments, and other data may be seen by all visitors. Off-site social websites may have content that is public and use is at their discretion. This site uses widgets and plug-ins that may aggregate and display information from these social sites such as the DiabeticMommy Facebook Page. Use care when sharing information to protect your privacy. If you provide your email address and opt in to the newsletter, feeds, or other update service., I will use the privilege to keep you informed via services you have opted in for. I will not intentionally share or sell your information.